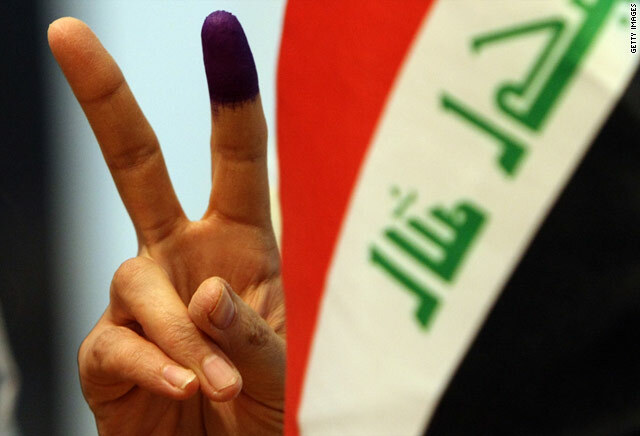 Iraq’s next provincial elections will be held in April 2017. With the expansion and contraction of ISIS since the last held elections in 2013, many important factors will need to be discussed. Due to the difficult political and security situation in Iraq, the guidelines and exact dates for the elections have not been released. This lack of information is somewhat distressing as these elections come a time where there is general public discontent that has been further exacerbated by the 3rd July bombings in Baghdad. This, coupled with governmental corruption, has left many people dissatisfied and there is a call for change. This change will especially be marked in the Sunni-dominated provinces of Iraq. These regions have had the highest presence of ISIS. Due to this, there has been growing discontent, criticism and anger directed at the governorates. Areas that are still dominated by ISIS will not be having provincial elections (though refugees may be able to vote in the provinces to which they have been displaced), however, newly liberated areas such Fallujah will most likely have these elections. Similarly, the three Kurdish dominated parts of Iraq are unlikely to take part in the elections, as in 2013. Reasons for this are due to the inherent problems in the Iraqi election process. The law that determines the outcomes of the results favours bigger parties. It states that if a certain party does not win enough votes, their seats are effectively given up. The Independent High Electoral Commission, IHEC, has called for changes to be made to this system but nothing has been legally promulgated. These elections are more likely to divide, rather than unite the country. On top of the problems that are unresolved from the 2013 elections, there are the problems of the Sunni and Kurdish areas boycotting them for differing reasons, and then ISIS creates a new problem. The seeming lack of preparation and information makes things even more difficult and I am not very hopeful that the elections will bring about either democratic representation, nor real change in Iraq. Up until 3rd July 2016, the political and security situation with the current Shia government looked to have been stabilising. But the bombings in the Baghdad district of Karrada shook up any illusion of this stability and seems to have destabilised the whole political system. These bombings were the second worst suicide bombings ever carried out in Iraq and at a time where security had seemed to be getting better it came as a shock to both the general population and the government. Despite this, it seems more likely that these are short term implications to Iraqi security stability. The events of 3rd July were undoubtedly tragic but it seems that long-term impacts on the political system will be minimal. Predisposed concerns regarding stability have of course been accentuated in the wake of the 3rd July Baghdad bombings. The death toll that exceeds 308 seems to paint a bleak picture of the both Iraq’s security and the government. But there is something to be said beyond this bleakness. The attacks were claimed to have been carried out by Daesh (ISIS). Looking at their motives for this specific attack illuminates why there is cause to remain hopeful. The attacks were carried out following the loss of Fallujah as IS territory. This is symptomatic of continuing trend of a weakening Daesh presence in Iraq. The move towards Mosul continues on. Premier Haider Al-Abadi had previously rallied support from both Sunni and Kurdish minorities, something which the Maliki administration lacked. 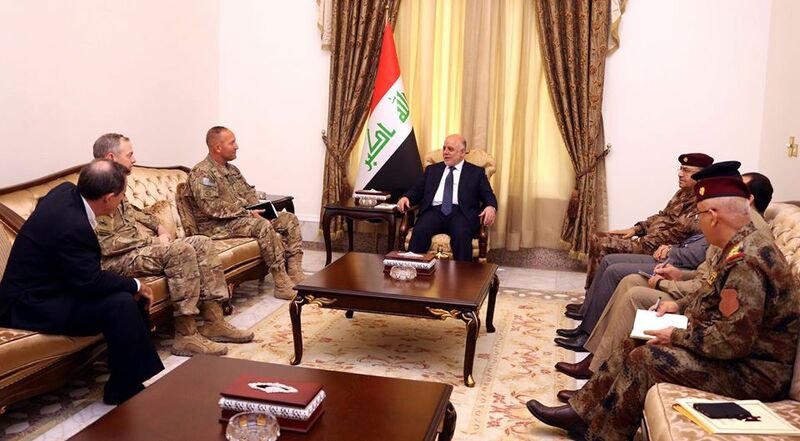 The attacks, however, damaged both Al-Abadi’s political and public opinion. These are the most visible damaging effects, politically. Al-Abadi visited the scene of the bombings and was crowded by angry Iraqis who felt the government had let them down. Since then, the government has attempted to regain some form of trust, security-wise, at least. There have since been attempts to clamp down on use of the fake bomb detectors, the ADE 651. Though it has proven to be a fraudulent item since before this, it shows a step towards a progressively more safe Iraq. Iraq’s government, politics and security is far from perfect. Corruption remains rampant and there is a deep distrust and divide between the government and public. However, many lessons will have been learnt from this attack. Haider Al-Abadi’s administration are determined not to see a repeat of this kind of attack and steps against countering this threat have already been taken. The event was undeniably tragic, but, despite this, there is reason to believe that the situation is getting better. While reading through the Chilcot report and pondering the Iraq question, my personal recollections of the war started coming back to me. A few days after my 8th birthday, I vividly remember being woken up by my father’s celebrations. I went downstairs and on the TV were scenes of Firdos Square and the statue of Saddam being toppled. He excitedly explained to me how the most brutal and terrible regime of our generation was over. I had never seen him so animated. Although my London upbringing left me with somewhat a confused sense of my own identity, I felt a similar joy and I sensed hope – my country’s, and in a sense my own, liberation. Sadly, the situation in Iraq (and my father) never quite had that same joy since. As I returned to reality (and the Chilcot report) I was convinced by the clear faults in the way the invasion and resulting occupation was handled. However, the report’s main problem is that much of the criticisms for justification of the war are only clear through hindsight. On balance, the dethroning of Saddam was a necessity and this in my mind legitimises and justifies the military invasion of Iraq. Perhaps the biggest problem for the British public, and something that the Chilcot report clearly suggests, is that Iraq was an “illegal” war. The report explicitly states that the “circumstances in which it was decided there was a legal basis for UK military action were far from satisfactory”. The report has not clarified the ongoing debate as to whether UN Security Council (UNSC) Resolution 1441 had given a legal dimension for military intervention. Ultimately, the legality of the war could only be fully resolved through an international court but there was clear evidence for jusification at the time on humanitarian and other security grounds. My personal problem with the war is the planning and process under which it was done. My country has been in a state of chaos ever since and I feel that this, at least in part, is due to the poor planning and arrangements by the Blair and Bush administrations. The Chilcot findings similarly agree that “the consequences of the invasion were underestimated” and that the planning and preparations following the downfall of Saddam were “wholly inadequate”. While the Blair administration must concede some blame for the following crises, much of this is also down to corruption in the, democratically elected, Iraqi politicians. Chilcot disagrees with Blair’s claims that these instabilities “could not have been known”, but, such a statement is easy to make in retrospect. The decision that was taken was primarily based on an “ingrained belief” in intelligence communities that Iraq had chemical, biological and nuclear weapon capabilities. These judgements were “presented with a certainty that was not justified”. Chilcot suggests that these reports “were not challenged, and they should have been”. This is, again, an absurdly easy statement to make in retrospect. After Iraq was given a “final opportunity to comply with its disarmament obligations” set out in UNSC Resolution 1441, the Prime Minister made a decision with the belief Iraq’s weapon capabilities were true and accordingly acted in the interests of the nation’s security. Critics of Blair and the war, as Hayder Al-Khoei has rightly pointed out, have “forgotten the horrors” of Ba’athist Iraq – they have idealized pre-2003 picture of Iraq in their minds. Ironically, the very same chemical weapons that the West feared, were the ones that the Iraqi people felt the most. Documented (and undoubtedly undocumented) human right violations under Saddam’s rule are extraordinary and in their own right can serve as justification for the invasion of Iraq. Being brought up in London, I was told that it was too dangerous for me to go back to my homeland, that there was nothing but suffering there. I was constantly reminded of Saddam’s fanaticism and despite years of the regime’s violations on all spectrums, nothing was done. Despite opportunities to dethrone Saddam such as in the 1991 uprisings, it seems likely that by 2003 military intervention was the only possible solution.